At Freedom Music Studios, we provide quality tuition and artist development for students of all ages. Our welcoming and supportive environment allows students to experiment and take risks with confidence. Our studio in Rowville, South East Melbourne, invites people who have always had an inkling that they’d like to sing, play guitar or perform to explore their talent. Our team of friendly, passionate and expert teachers provide students with high quality lessons in a supportive and encouraging environment. Throughout the year, students have regular performance opportunities in front of a live audience. This motivates them to continue practicing and maintain enthusiasm for their next lesson. It also provides a space for students to socialise and collaborate on musical items. Parents, families and friends get to know one another as they enjoy the shows and witness the progress in front of their loved ones. For us, it’s wonderful to see students of all ages interacting and learning from one another. When you start having lessons with us, you’re more than just a customer, you’re part of The Freedom Music Family. We are a passionate team of teachers at Freedom Music Studios who have dedicated our lives to the mastery and performance of our craft. We love what we do and it shows! Please meet our team! Clare is the driving force behind Freedom Music Studios. Her personality, experience and passion for the industry have led to the wide range of services we offer our students today. After spending 20 years studying the art of Vocal Production, she has gained an extensive set of qualifications including a Bachelor of Science majoring in anatomy and physiology, Diploma of Education and she’s completed The Compulsory Figures for Voice Control course four times. Clare has worked hard over the past 10 years to achieve her ranking as a certified Level 3 singing teacher with the Institute of Vocal Advancement. Throughout her vocal career Clare has often been left feeling hoarse and fatigued due to a heavy vocal load, from both singing and public presenting. Over many years, Clare refused to believe that her voice was at its capacity and went on a mission to gain insights into the intricacies of vocal technique. During this time, she fell in love with the study of voice and all its facets including technique, style, artistry and performance. After years of study and research, Clare has a diverse knowledge and methodology towards teaching enduring, reliable, pain free and artistic voice production. 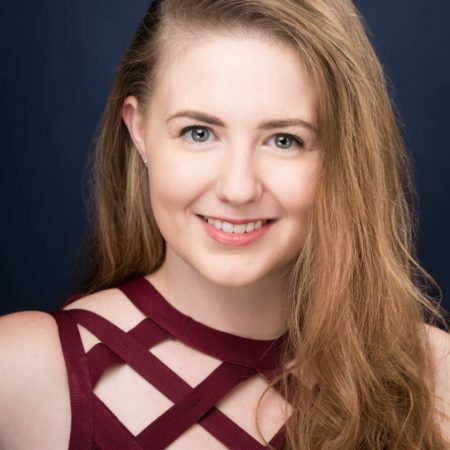 Clare’s Degree in Science, majoring in Physiology and Anatomy, gives her the skills to understand and discuss the singers ‘instrument’, the larynx. Her Diploma of Education and 10 years working as a class room teacher gives her the skills required to ‘teach’ all ages and vast amounts of experience working with children. Using her personal knowledge, learnings from courses and conversing with other vocal specialists, Clare can offer students many techniques that can be applied to vocal production and improve performance. Her mission is to provide as many students as possible with the skills and strength required to ensure that they use their vocal instrument to its maximum potential! 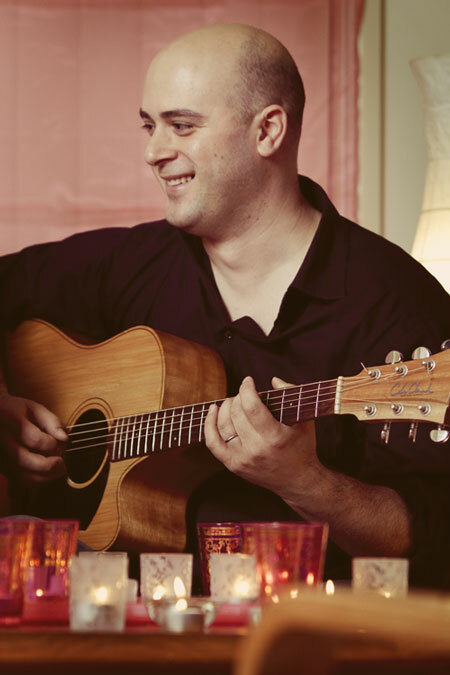 Adrian is the head of Guitar at Freedom Music Studios and he loves sharing his passion for the art of playing and performing with his students. At age five, Adrian’s parents took him to the Kiss Concert at Waverley Football Ground. Sitting on his Dad’s shoulders, Adrian knew from this moment that he wanted to learn the guitar. And he has been playing and studying guitar ever since! With years of private lessons, studying music at Box Hill Institute and Sound Engineering at RMIT Melbourne under his belt, Adrian has a diverse knowledge of the music industry. He’s travelled across Australia working as a professional guitarist and performed regularly in many of Melbourne’s clubs for the past ten years. Adrian has more than 35 years of theory and real world experience making him the perfect guitar teacher to set any budding musician on the road to success. Mita has had singing and guitar lessons with Adrian and Clare from the age of 12. She certainly knows our business and how we teach, making her the perfect advocate to share all the fantastic things Freedom has to offer with our First Notes Community. Mita recently received an excellent score upon the completion of her Certificate 3 in Music Industry Performance. She has endless performance experience and so much to share with our First Notes Academy students. Mita has a strong passion for working with young people and simply loves the fact that at First Notes she get’s to work whilst combining her two favourite things … children and music. She has an up to date Working With Children Check and Level Two First Aid Certificate. Mita has worked with children for the past five years. 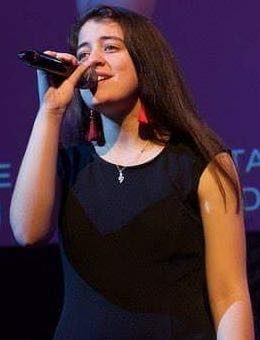 Stacey has been performing and singing from the age of 12; however previous to this, she had always loved and appreciated music. She loves learning, teaching and sharing her passion with others. Stacey is very excited to be a member of the Freedom Music Studios Team. 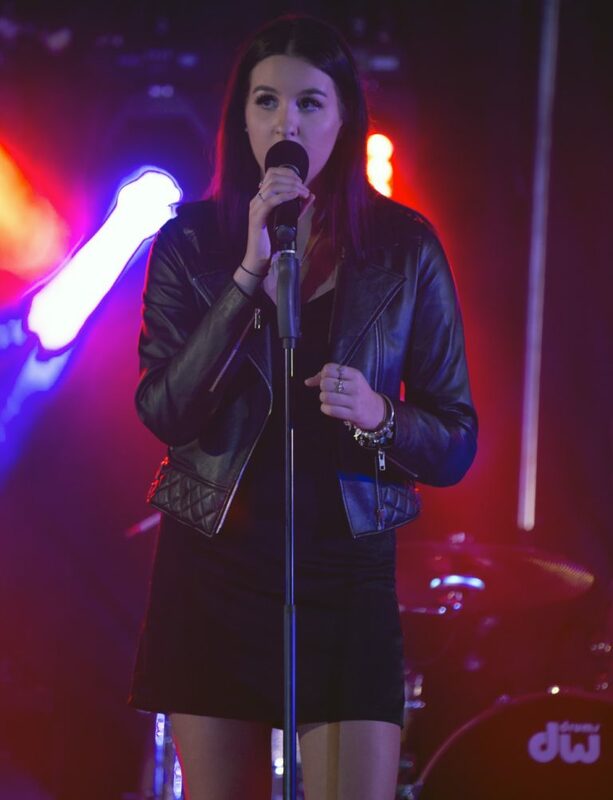 Stacey is currently studying a Bachelor of Music (Contemporary Performance) at the Australian Institute of Music. In high school, she studied VCE Voice and achieved an A grade for her performance recital. This consisted of 5 songs in 5 different genres. Preparation for the recital deepened her understanding of the skills required to adapt the voice when singing in different genres and styles. Stacey also has a love for musical theatre. She finds telling a story throughout a piece of music to be so powerful and moving. It is what she always tries to achieve in every piece of music she performs.